"One of the most prolific events of the Ability Explosion was the exuberant performance of The Luckiest Penny Musical, by Deborah Weed. The story which examines individual self-worth affects the sensibilities of everyone who sees and hears it. The uplifting musical is a testament to the efforts and goals of the author and creator and will benefit humanity with its inspiration and message." Parents, teachers and mentors need to reinforce the good in our future generation and help redirect the negative. Wrapped in a magical package, The Luckiest Penny, all original book, musical, curriculum and innovative programs, sparks children's imagination while giving practical messages about what's really important. The Luckiest Penny is about two 1943, rare, pure copper pennies who are at a coin auction and about to be sold. Allister, an uncirculated, shiny penny, believes that he is worth more than any other coin. Henry is a tarnished, tossed-about penny. He has gone on an amazing adventure from: being tossed into a garbage can because he is viewed as worthless; being someone's lucky penny; going on a wild roller-coaster ride in a washing machine and being deposited into a bank. Through the eyes of these two pennies, we learn what is truly valuable and why. Ernest Socolov created the illustrations for The Luckiest Penny. He has been a professional illustrator for all of his 70+ years. He was a designer and artist at: ABC; Esquire Magazine; Columbia Records and on and on... He is an ardent professional who captures emotions with his paint brush and uses bursts of color to evoke the passion of the heart-warming story. The Luckiest Penny book, musical and curriculum, makes self-worth FUN! It's the simplest way to encourage kids from 3-103, to know what they're worth. The production has rave reviews and continues to be a favorite of children and adults alike! Take a peek below ... be sure to listen to the songs. 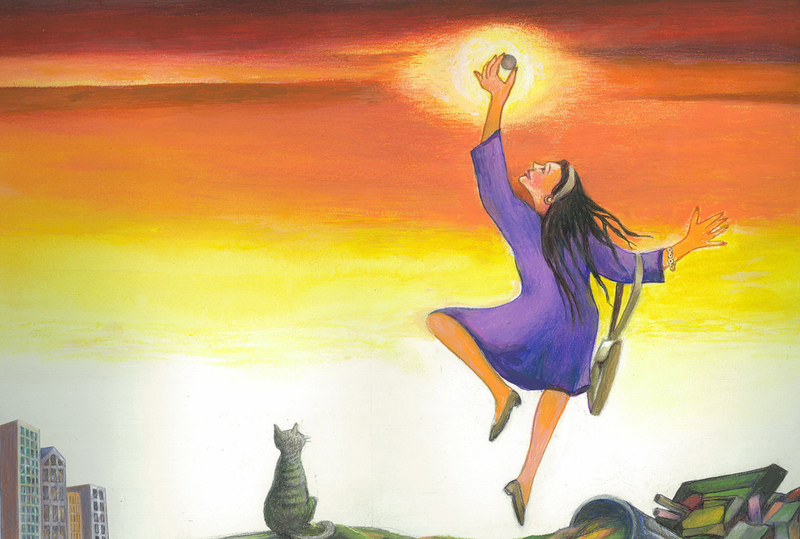 Deborah Weed, artist, visionary storyteller and creative lyricist has brought the world an incredibly inspirational, uplifting and effectively educational story and musical, The Luckiest Penny. Deborah's delightful musical adaptation of her beautifully written book gives life, drama, comedy and unique personas to two 1943 rare copper pennies, who take us on a memorable, rollicking, hand slapping, singing and heartwarming journey of positive self-esteem. I, and my Occupational Therapy Assistant students, have had the awesome experience of working with Deborah to bring her musical to children and adults in the Hudson Valley region of New York. push this button to buy your own, the luckiest penny, book! "At Zylofone, our mission is to offer music, theater and art to the special needs population. When I came across the story of the "Luckiest Penny", was drawn in by the "self-worth" component. All of us have the need for support, understanding and a true feeling of self worth. This tale of two pennies is light, funny and easy to connect to. I adore the idea of bringing the audience in as a part of the auction. A connection that elicits joy and start the communication ball rolling. Bravo, Deborah Weed!" ~ Debbie Major, Founder/CEO of Zylofone. Zylofone will be bringing The Luckiest Penny Program to school children in Orange County, New York. listen to the upbeat music!